Before an institution embarks on a major construction project, the Administration needs to define individual roles in the project management process, and it needs to establish a chain of command. Projects are complex and typically have tight budgets and tight schedules. An administrator may be involved in only one major project in their lifetime. This makes the construction process unknown, intimidating, and stressful. This is why it is so important to develop an understandable structure with well-defined roles at the very beginning. The more time spent up front in developing this structure and educating the impacted individuals, the less stressful and more effective the process will be. The Administration needs to understand that a project is a long-term, multiyear commitment. 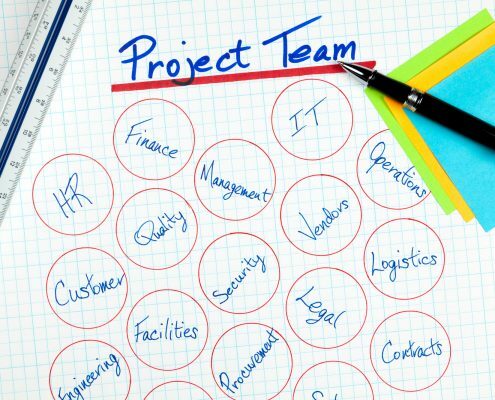 The people that are assigned these roles must be able to put in the time necessary to stay with the project. If a person cannot make this commitment, then someone else should be assigned to this role. As in any administrative assignment, the level of authority should equal the level of responsibility. © by RPMI. May be downloaded and distributed for educational or internal application.